I HOPE YOU DANCE with red Swarovski crystals and a Twisted Toggle Clasp. This bracelet includes the Graduation Cap Charm. NOTE: The Graduation Cap charm shown is my old one... my new one is much cooler and 3-D. The Puffed Heart is an add-on. 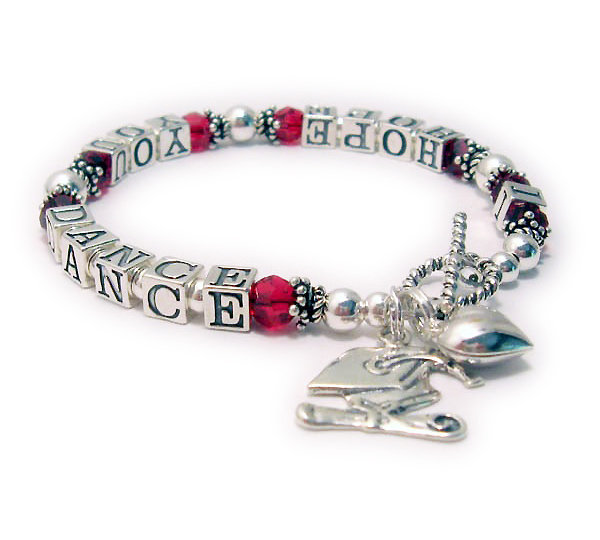 This I HOPE YOU DANCE bracelet is shown with red (July or Ruby) Swarovski crystals and includes the Graduation Cap charm. The Puffed Heart charm shown is optional. The beads are all .925 sterling silver. 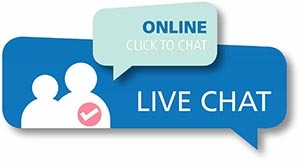 You choose the message, clasp and color of the crystals during the ordering process. They picked one of my free Twisted Toggle clasps.